Our goal is to give you the best client support and services, and to enable you to be your own resource in a pinch. 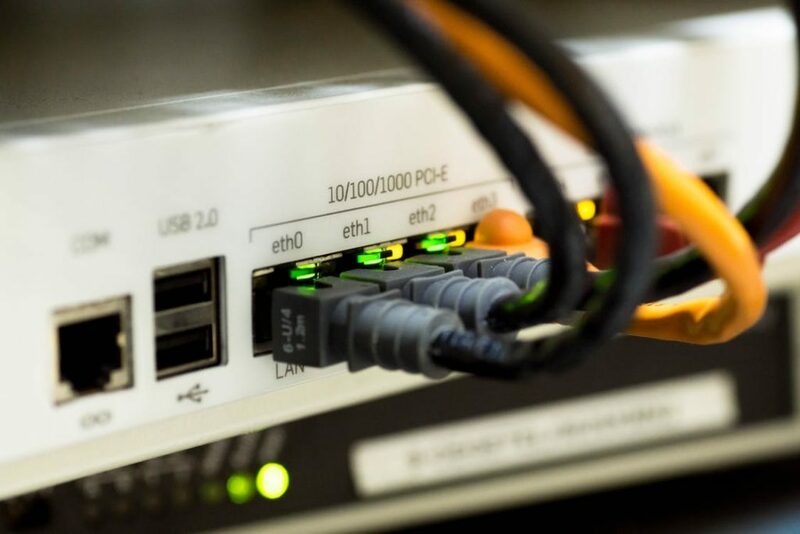 We are always available, but if you ever wonder if it’s you, or us, or your ISP, this VoIP troubleshooting list will be helpful! Most of the time with internet services it is something simple. Incredibly, incredibly simple. Someone may have unplugged the router accidentally, the network cable connecting the router to your LAN is unplugged, your ISP is experiencing an outage, we’re experiencing an outage. Your IT department is updating some critical systems. In situations where you are experiencing a loss in service or call quality, do not panic! All will be right and good in the world. To ease your suffering here is a VoIP troubleshooting cheat sheet you can go through with our client services, or without. Is there actually a problem? you can check sites like http://downforeveryoneorjustme.com/ to see if it’s just you. often it’s not. Answer/action: Yes, there is a problem. What next? “Have you tried turning it off and turning it back on again?” Did you wait 10 seconds before turning it back on? A: This often the first point of call for IT support, because it is often the issue. Someone unplugged the router. Doing this step before reaching out to client services is effective at minimizing the range of issues to consider, as well as potentially solving your problem quickly. Is your network cable/Ethernet cable plugged in? Is your router on, is the light signaling internet connectivity on? Is your internet connectivity good? A: oh, our internet is out! If your internet is out and you are using VoIP, your phones will be out too. Reach out to your internet service provider and figure out if they have technicians working in your area. Often when services are down, they are actually fixing an issue and there is some sort of reset or power cycling on their end to reboot the system. A: oh, my Ethernet cable is not plugged into my router and to our LAN (local area network), plugging it in has fixed our problem! Is there an internal software update? A hardware update? Have you checked with your resident technology expert or IT department? A: Our IT department is installing new hardware and as such the systems will be down. A: We don’t have an IT specialist or department, what next? Is it your phone only, or everyone’s phones? What are the details of the issue? Sound quality? Loss of functionality? A: it is just my phone. Go ahead and reach out to client services! As your internet is still working, and everyone else phones are functioning, this is an issue for your VoIP providers client services. A: It’s everyone’s phones. Double check step’s 1-4. Make sure that your internet is up and running. If all the phones are experiencing issues after this second check, reach out to client services from your VoIP provider. Often you will not be the only business experiencing wide issues if all of your phones are affected. Is it a hardware issue – is your phone old, on its last legs? Do you need a replacement? A: My phone is held together by duct tape and super glue. Get a new phone. A: My phone is brand new and didn’t work out of the box – call and often your VoIP provider will replace it. A: My phone stopped working after a couple months of use and there is nothing to determine the cause that we can understand. Reach out to client services and see if you simply need to reset your phone/system. Is the issue localized? Is it only certain phones in a certain area? Is it totally random? A: It’s totally random. Call client services. If there is no common thread in any of the issues you are experiencing, your best bet is to call your VoIP provider client services. Now this is a non exhaustive, slightly colloquial list of troubleshooting tasks you can go through with your team in the even of VoIP outages or other issues. When in doubt, call a specialist. ← How Much Do You Know About The Internet?